When it comes to renovation, what pops into your mind? Aesthetics apart, the backbones of a renovation project are actually wiring, plumbing and electrical work. Although pipes and wires are not visible to the naked eye, if not installed properly, chances are the renovation efforts will go in vain, and all the new fit-out and decoration will have to be taken down in order to fix those unfit in-wall wires that went wrong. Incorrect installations can result in house fires, flood damage, and/or structural problems. Rework is always costly and we will make sure to avoid it in the first place. Chin Fung Engineering Co. guarantees that all the plumbing and electrical work, including installation of electrical circuits, lighting, switches, air-conditioning, kitchen stoves, water heaters, as well as faucets, tanks and sinks, are compliant with current regulations and meet the highest safety standards. A condo, apartment or house is not just a roof over your head; it is a comfy place where everything you need comes in handy, and that makes you love to live there. In recent years, the trend of smart living is catching on. 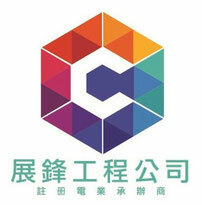 Chin Fung Engineering Co. has incorporated smart technology and energy efficiency concepts into our renovation projects, to create for you an ideal home that embodies the best of smart living: be it independent AV power supply, surround speaker wiring, cable laying, or CCTV surveillance system. We help you achieve your dream home - or something close to it.